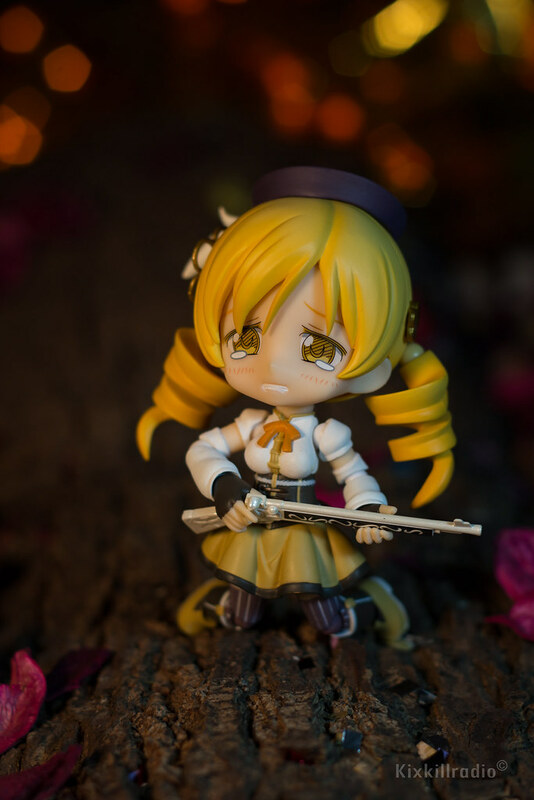 Another adorable Cu-poche figure by Kotobukiya was released from the popular series, Puella Magi Madoka Magica. 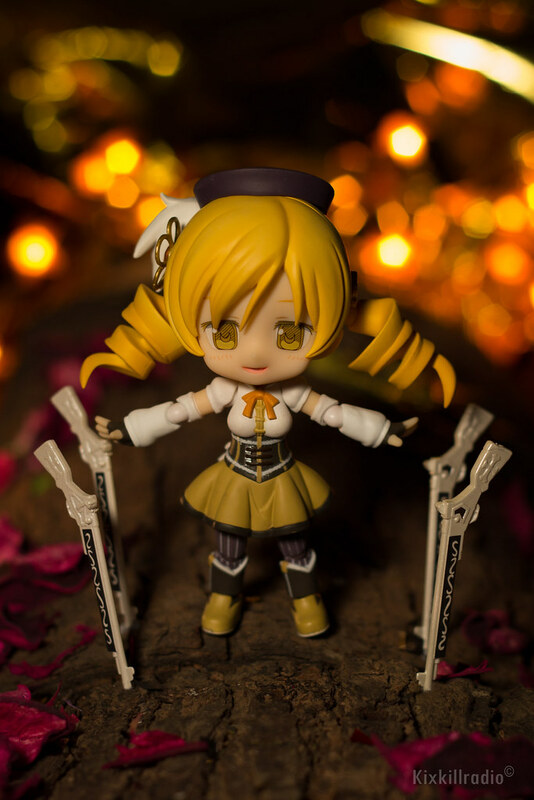 Today we are looking at Cu-Poche Mami Tomoe. 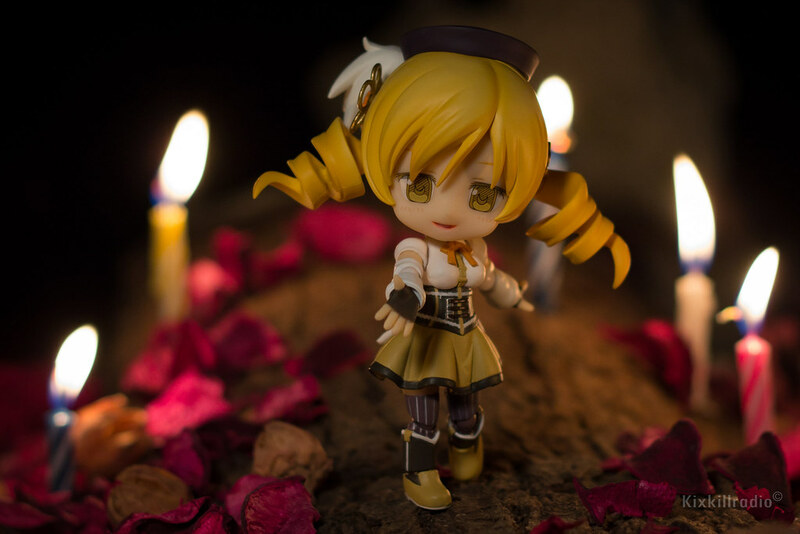 Mami Tomoe is the first to rescue Madoka and Sayaka from a witch on the series’ first episode. She has a lady-like and mature personality who loves tea. 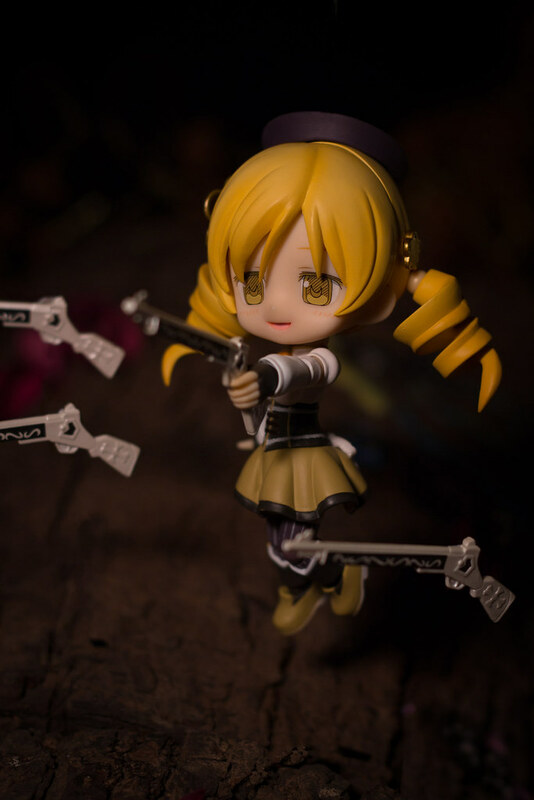 She acts as a mentor for Madoka and Sayaka if they decided to become magical girls. 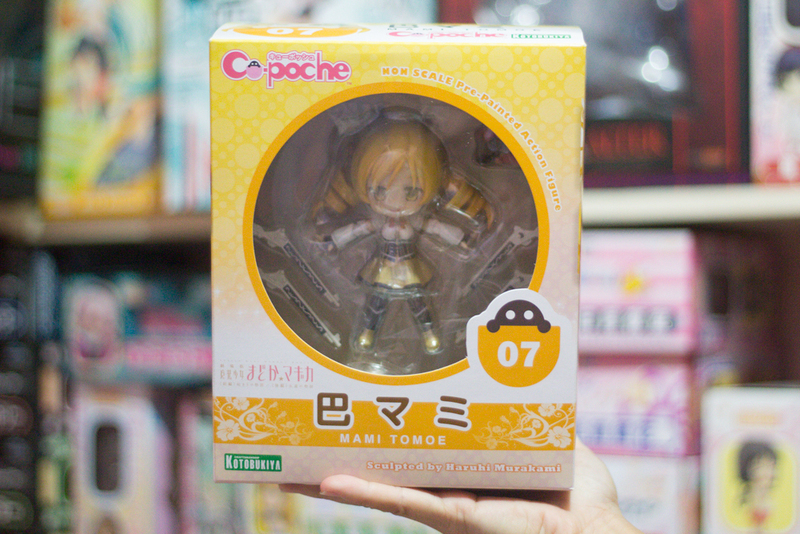 I got Cu-Poche Mami Tomoe last week, another lovely figure that I am very happy to receive. This is sponsored by Kotobukiya. I am excited to get my hands on her because I am one of the fans of the anime which I truly enjoy watching. From the moment that Kotobukiya announced her release, there’s this idea in my head on how I want to take her photos. 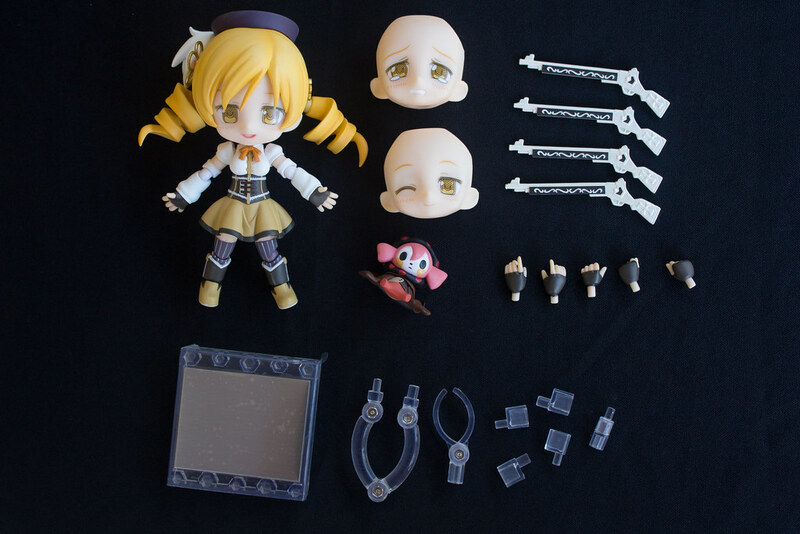 Cu-Poche Mami Tomoe is pre-painted posable figure, she comes with 3 face plates (smiling, crying and winking), 4 rifles and optional hand parts. She also comes with her famous arch rival, Charlotte, a candy witch (which I think is just so adorable). She is sculpted by Haruhi Murakami. 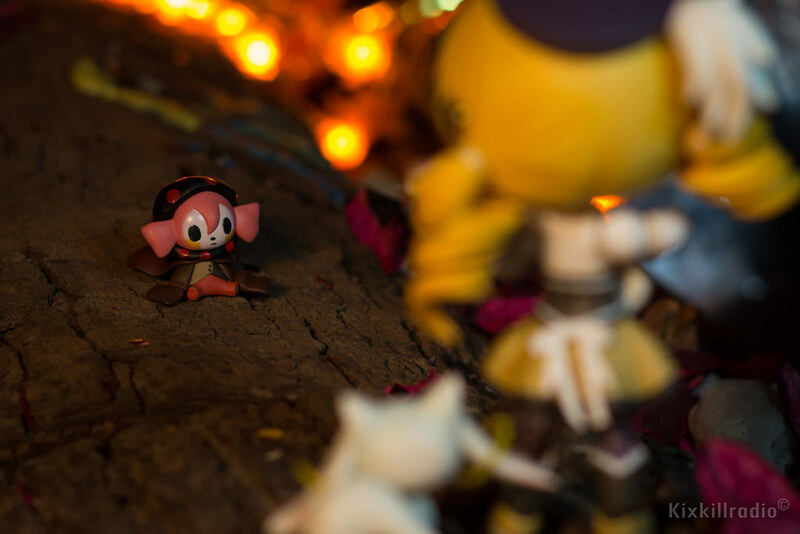 The first photo set is based on the magical girls when they get into the witch’s domain on the episode where Mami had her encounter with the candy witch, Charlotte. I made the scene dark and bright lights as candles float in the background. 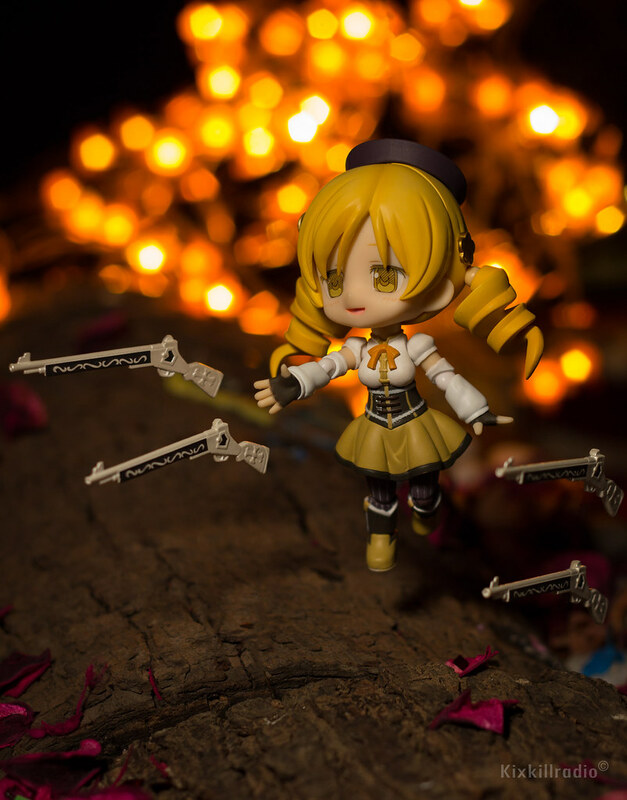 If you are a fan of Puella Magi Madoka and magical girls, Cu-Poche Mami Tomoe is a precious item for your collection. With Cu-Poche’s multiple articulation points, you will able to recreate your favorite scene from the anime. Pose her in cute and creative way. 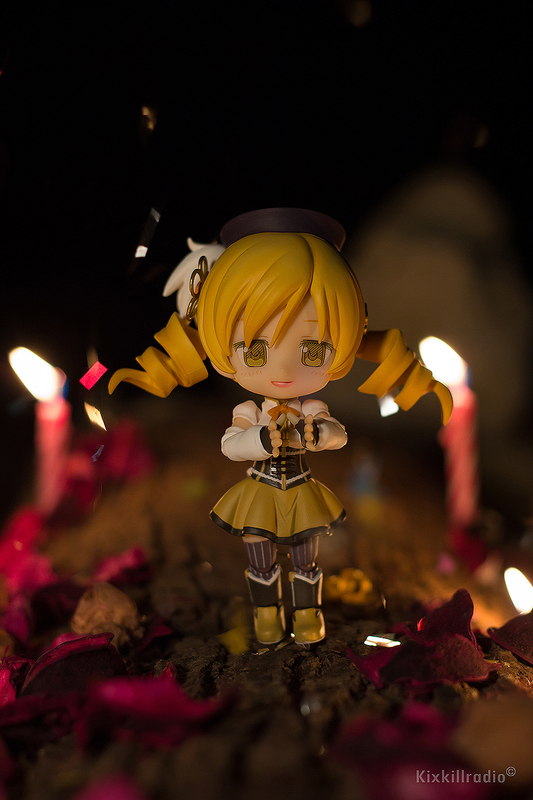 I’ll be sharing more Cu-Poche Mami Tomoe photos tomorrow in Tea party themed set. Watch out for it! 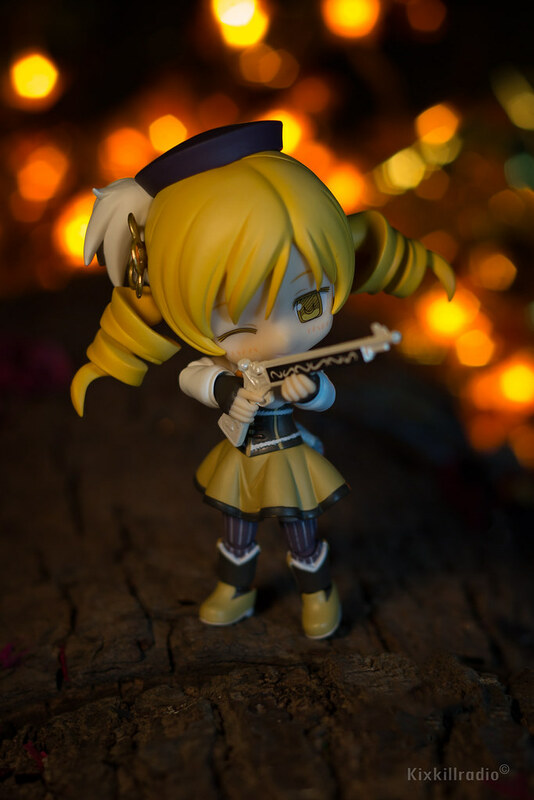 These photos are also published on Kotobukiya Facebook page. 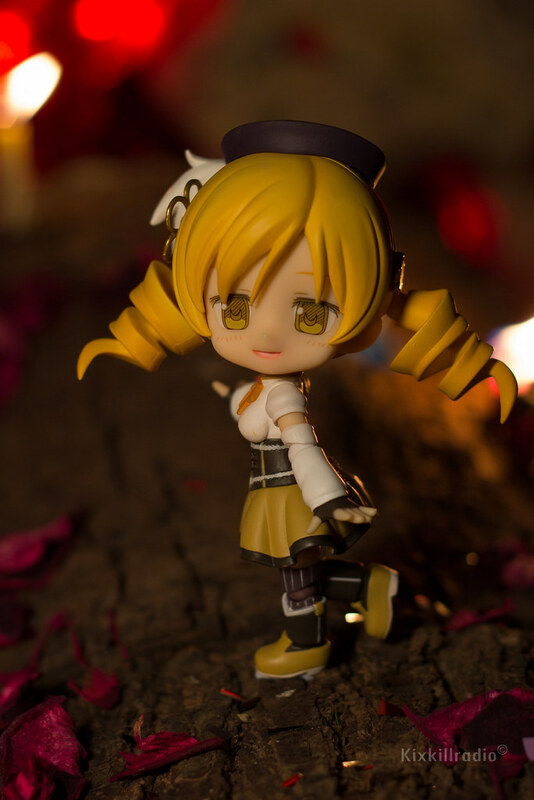 I like how they’ve adapted the outfit of Mami, she looks very elegant and pretty. her limbs appear somewhat longer than usual, maybe just an optical illusions. Also the corkscrew twintails look great. I love Puella Magi Madoka Magica, though it was constantly making my eyes red and watery, but it is a really great anime that I encourage most of my friends to try. I heard there was a movie a another series that comes after the show two called Rebellion and Puella Magi…I can’t remember that one, but I really want to see it! Wouldn’t anyone, though? Also, can you get this figure on Amazon or Ebay or something? Thank you for the great photography!